Niche came into being somewhat by accident in 2003, when our Creative Director, Jeremy Pyles, was unable to find the proper modern lighting for his homewares store in New York City’s East Village. Pyles teamed up with a glass- blower to create three pendants to light the front of the Niche store. The lights were not for sale, but the fixtures that hung in the storefront's window made a grand statement — so much so that they soon became our best selling item. From this, a new business was born. The Stamen modern pendant light is truly the signature pendant of the Niche line and became the impetus for all of the other pendant designs which followed. Within two years of the Stamen’s release, Pyles designed seven other modern lighting glass shapes to join our collection. For over a decade, Niche has established a signature collection of stunning modern lighting products by joining together contrasting elements, simple lines, and gorgeous color. We are a small company committed to bringing the most luxurious modern lighting to consumers, designers, and architects across the globe. We now offer over twenty different pendant shapes, ranging from the simplicity of an orb to more angular and geometric configurations. We also offer an array of luxurious glass colors by melting the most pristine raw materials to make the highest quality transparent glass lighting. Every Niche product is handmade by our team of experienced and talented glass artisans. At Niche, each silhouette begins with a sketch from Pyles. Every detail is carefully thought out between our team of designers, glass artists, and technicians in our Beacon, New York studio. 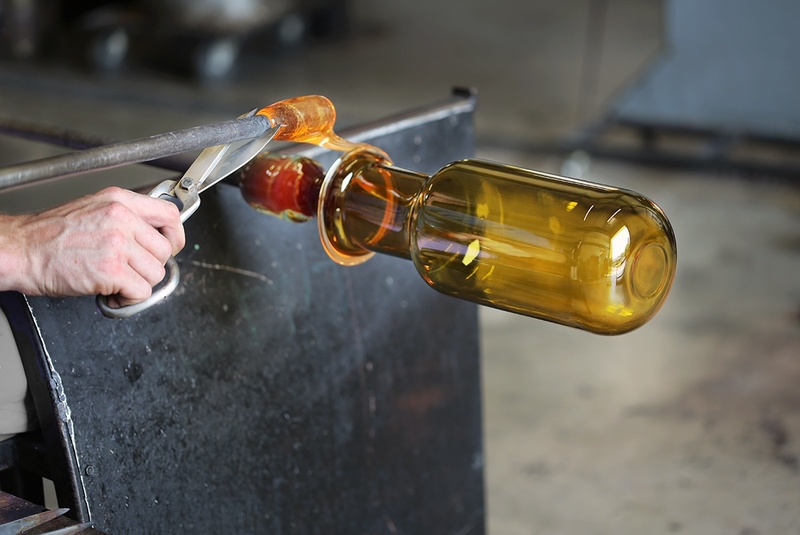 After the pendants are hand-blown in our state-of-the-art Hot Shop, they are inspected, cut, drilled, ground and polished by hand in our Cold Shop to ensure our standard of excellence. When you purchase from us, you can be certain that it is made with quality, precision, and love every step of the way. 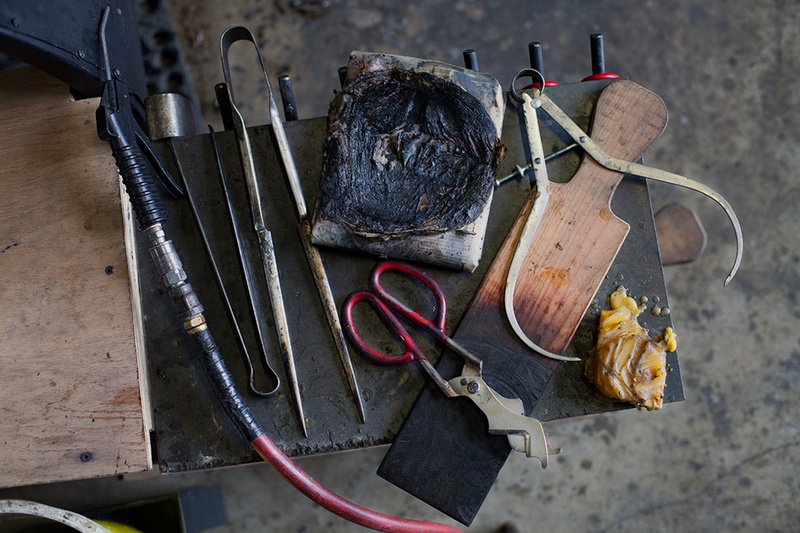 We believe in authentic and original design and are proud to be carrying on the tradition of glass-blowing within our local community. "The projects Niche products are specified in are testament to the team’s determination to go above and beyond in terms of quality, decorative lighting design." 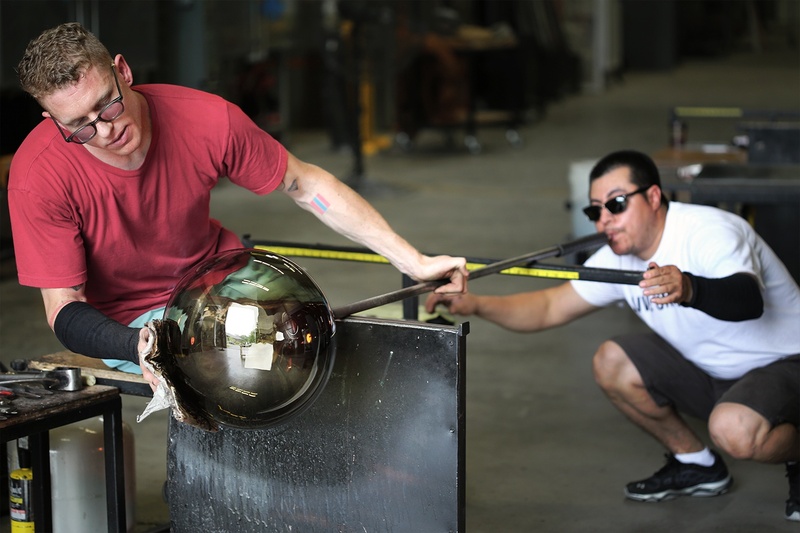 “Featuring Niche Modern’s hand-blown glass in our handmade video series was a no brainer." "I am always happy with the quality and outstanding craftsmanship of Niche fixtures. I highly recommend them for any project; they add a level of sophisticated beauty." 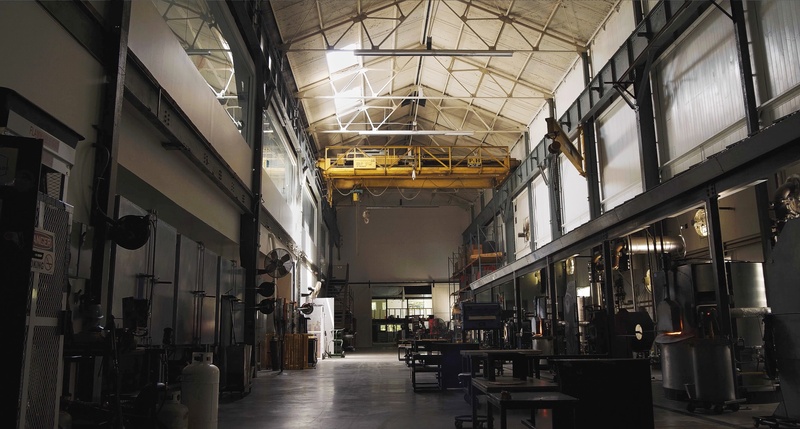 Our glass studio and office are housed in a gorgeously renovated 20,000-square-foot, 100-year-old foundry building in Beacon, New York, a prospering art, and design community conveniently located in the heart of the Hudson Valley along the scenic Hudson River. Heart is at the center of everything we do. At Niche, company culture is very important to us and we value hard-work, honesty, and loyalty. We have a small, dedicated team working together every day to produce our beautiful handmade products. We are proud that every aspect of the Niche brand is created in-house. The most intimate moments in life are the ones we cherish forever. We share them with the people closest to us - our children, our parents, our siblings, and our husbands and wives. At Niche, we hope our lighting illuminates these special moments for you. Watch our latest video to find out why we do what we do.